After taking a few boxing classes for fun at NYSC from an instructor named Santana. One day I looked him in the eye and said, “I’m going to become a professional boxer now, goodbye.” He stood there dumbfounded. I remember the day I walked into Gleason’s Boxing gym for the first time. It was in 1998 and at the time, the majority of boxers were male. They all gawked at me as I strode in wearing my leopard print tights which matched my wild and untamed hair. I was quite a sight. I walked holding my head high and ready to conquer the boxing world. Back then Gleason’s was different than it is today. The air was musky and hung with sweat, the windows were foggy, everything seemed old and worn. It was an environment I was neither familiar with or exposed to in my life. So there I was, Ms. Middle Class amongst those who were rough and lived in underprivileged neighborhoods. However, nothing was going to stop me. I was determined to prove myself as a female boxer. I remember the day my trainer decided to have me spar with some dude. There were no female boxers around. I got in the ring, started moving around and practicing my jab. My trainer yelling for me to bob and weave. So I started bobbing and weaving. Then I tried doing an uppercut. I loved those upper cuts, but I wasn’t able to get in close enough to do it. I began feeling winded. Thankfully, the bell rang because I was dying of thirst. I opened my mouth, for my trainer to give me water. He squirts a little water and tells me to spit it out. I looked at him as if he was out of his mind. There was no way I was going to spit it out. I swallowed it. The bell rang again. I hesitated. I was exhausted and wanted to stop. The next thing I know, I was keeling over. I didn’t have my guard up and the guy landed a punch to my liver. There are no words to describe the level of pain. I learned a valuable lesson that day. One I will never forget. Defense is everything. In the ring and in life. When my guard was down, there was an opening for him to hit me. 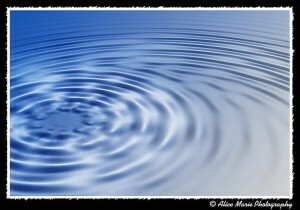 I was out of breath, thirsty and my movements were sluggish. My opponent took complete advantage of the situation. While reflecting back on this incident, I realized the enemy of our souls does the same. He waits for an opening to lodge his onslaughts and attacks on us. 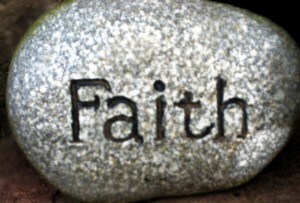 If we’re are open, tired or unguarded, he will catch us by surprise which will leave us reeling. We can’t let him catch us off guard. 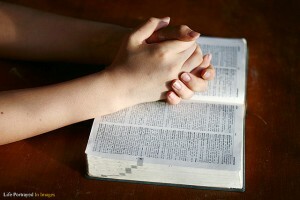 We have to keep our defenses up by reading the Word and praying. We need to practice bobbing and weaving daily. Thankfully, we have the best trainer, the Holy Spirit and the best corner man, Jesus Christ. We are guaranteed to win and promised the victory! Have you been bobbing and weaving lately? I read an interview with John Grisham and the interviewer asked him what he was reading. 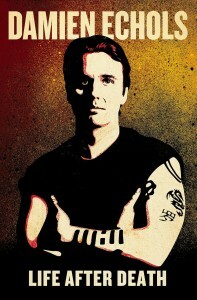 He responded, a memoir called Life After Death by Damien Echols. He mentioned it was one of the best books he’s read in a long time. So I decided to get it. When I began reading this book, I was riveted. Damien Echols is an extraordinary writer. I was blown away by the way he writes. He is a true artist. However, this book is no walk in the park. Nor is this the type of book I would normally gravitate to. Life is hard enough than to read about injustice to such severity, it made my blood boil. I honestly do not know how Damien Echols survived it, much less, remained the positive person he is today with all the hell he endured. What resilience. He was falsely accused and convicted of a crime he didn’t commit. He and two others were accused of murdering three boys in West Memphis, Arkansas. They did not do it. Someone else did and they still haven’t found out who. Imagine being a teenager and spending 18 years on death row for a crime you didn’t commit? Being beaten by guards and surrounded by mentally ill inmates. Prison is full of the mentally ill who are not getting the help they need. They are put in prison to rot, meanwhile they are not well. His memoir was difficult to read. I found myself disgusted, angry, sad, disillusioned and broken for him and all those who are on death row or in solitary confinement who are innocent. I can’t find the words to describe how provoking this book is. This book describes the absolute brokenness of our prison system. It also sheds light on the corruption that exists in our court system. If Damien Echols was standing in front of me today, I would apologize to him on behalf of all the Christians in his life that turned him away from Christ. He depicts with such accuracy the judgmental and critical nature of Christians. While reading his experiences outside and inside of prison, I was embarrassed and ashamed. Instead of Christians being a light in his life, they were the complete opposite. There is no other word to describe it other than disgusting. I would tell Mr. Nichols, those were not followers of Christ. Those were lost, broken people, who were ignorant, confused and didn’t know an ounce about loving others. As a result of this, he is not a Christian today. He became a buddhist in prison. He was treated better by Buddhists than Christians. After what he went through, I can’t quite blame him. There was one part where he describes that when there was an execution scheduled, Christians would appear, but not on any other time. It was as if they enjoyed the excitement of someone being executed. I can’t write it the way he describes it in his book. He is truly brilliant and a gifted writer. His writing is palatable for you see and feel everything. I am glad he is free now and with his wife Lorri who helped him the most. There were many others, but she was the persistent one, who never gave up. He also made mention that the prison system is designed for those to be forgotten by society, including family and friends. He said what gave him some hope and kept him going was receiving encouraging letters from strangers. Overall, I would have to say this was the best book I read in 2013. Yes, it was the hardest to read, but it was most certainly the best. I highly recommend it, but it’s definitely not for the faint at heart. 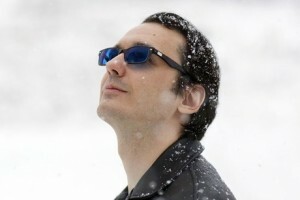 Damien Echols was born in 1974 and grew up in Mississippi, Tennessee, Maryland, Oregon, Texas, Louisiana, and Arkansas. At age eighteen he was wrongfully convicted of murder, along with Jason Baldwin and Jessie Miskelley, Jr. Echols received a death sentence and spent almost eighteen years on Death Row, until he, Baldwin, and Miss Kelley were released in 2011. The West Memphis Three have been the subject of Paradise Lost, a three-part documentary series produced by HBO, and West of Memphis, a documentary produced by Peter Jackson and Fran Walsh. Echols is the author of a self-published memoir, Almost Home. He and his wife, Lorri Davis, live in Massachusetts.